Delight in the sensuous experience of luscious leathers cradling and protecting your valued books! Relish the ritualistic act of wrapping up your thoughts at the end of a writing session, or enjoying the anticipation of unwrapping the next delicious lines of that novel you are currently savouring. I have designed the Book Wrap to protect and delight! 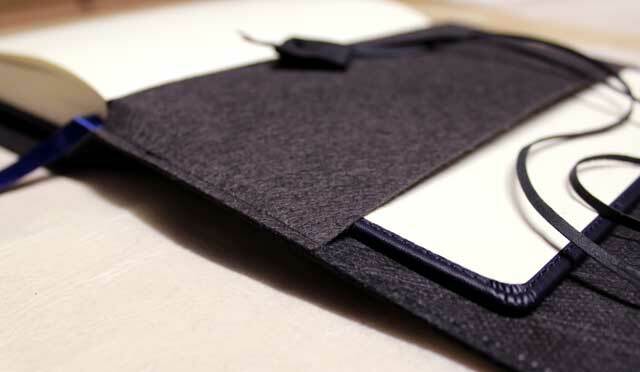 The back cover of your note, sketch, diary or reading book slides beneath a hidden sleeve, holding it securely within the Wrap. Two pockets on the left accommodate papers, pens, bookmarks and such... or perhaps another thinner notebook. Finally, the leather strap wraps around to enclose the contents in a secure and private package. Ready to travel with you, or just to sit stylishly awaiting your return! And I take pleasure in the process of creating each one. Selecting the leathers, adding a trim I’ve hand painted or perhaps stitching a complimentary leather. Or deciding that this piece looks just perfect in it’s simplicity – understatedly elegant! Aiming to create an object that will be cherished by it’s new owner for many years. Ideal for book lovers to protect and cherish. Or writers and artists to keep items all together. I make each one myself in my studio in Victoria, Australia. I select, buy, cut, stitch and complete each Book Wrap myself. Any hand painted detail is also my own work. So you are also supporting an artisan – Thank you! 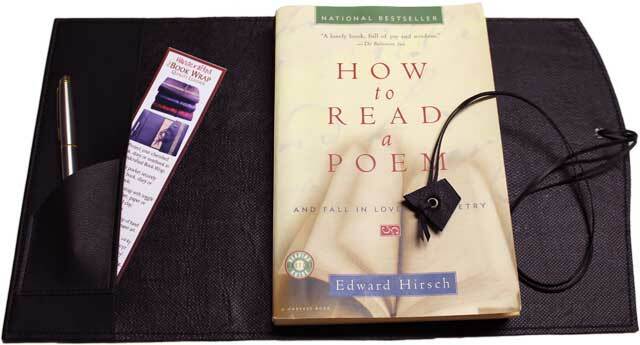 The book's back cover placed under the slide pocket holding it securely in place. Two pockets in the left of the Bookwrap for notes, pens, or even a small notebook. Can also be used as an Artist's Wrap. 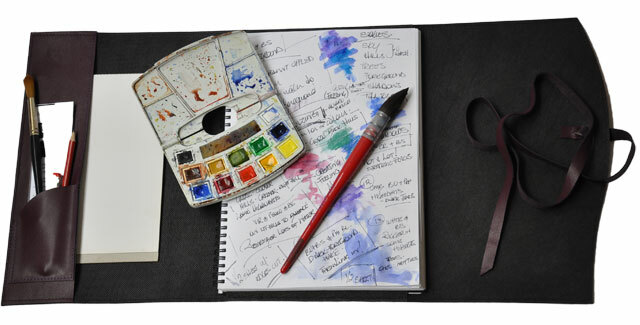 Holds sketchbooks, paints, brushes and pencils all together in one neat bundle.